But why buy the cow? Fourteen years prior to becoming Deadpool, the world was just getting to know Ryan Reynolds from a supporting role that he had in 2002’s “Buying The Cow”. Ryan only had a few small roles before then, but his role as Mike Hansen gave the world a sneak preview into one of the most charasmatic actors of our time. 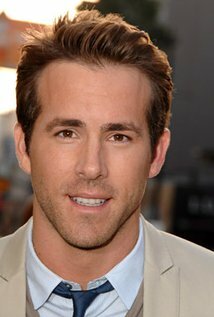 Over the course of a stacked filmography, Reynolds went on to star in big budget blockbusters like “The Green Lantern” and “R.I.P.D”, while also offering a sensitive side in films like “Definitely Maybe” and “The Proposal”. “Buying The Cow” centers around a committment freak named David Collins (Jerry O’ Connell) living in Los Angeles with his supportive girlfriend Sarah (Bridgette Wilson). When Sarah sees their future going nowhere, she gives David an ultimatum: commit or get out. David has two months to decide if he wants to stay with Sarah as she leaves town for a job in New York, or test the dating waters to see if he still has it. Following the advice from his more outgoing friends (Bill Bellamy, Ryan Reynolds), David hits the dating scene as he tries to find his one and only soul mate, a mysterious woman (Scarlett Chorvat) he sees again and again, but always gets away before he can talk to her. The film’s well-known cast all has their time to shine, but it’s Reynolds who steals the show without ever giving it back. Hansen is a character who has bounced from woman to woman over the course of his life, but is questioning his sexuality for the first time ever. He has an epiphany after a mix-up that has him waking up to a man serving him breakfast: maybe the reason he can’t get close to anyone is because he is “Playing for the wrong team”. It makes for some truly gut-busting scenarios, while offering an informative social commentary on gay relations in the early 21st century. Reynolds commands the attention of the audience with his unique personality traits reminiscent of the late, great Jack Benny. The biggest surprise of Hansen’s life is a misunderstanding, but what follows is pure comedy gold for any Reynolds fan. His quick-witted replies have the audience hanging onto every word of his dialogue, and you quickly notice that Reynolds is probably the character who this film should be following. The material is a bit juvenile at times, and this does serve as more of a male comedy than a female one, but I feel like “Buying The Cow” has something to offer everyone based on it’s inside looks at the male psyche. The friendships feel honest in their portrayal, and that is sometimes the hardest thing to capture in twisted comedies. These are a group of friends who want the most for their troubled leader, so many times it’s nice to have that kind of entrance into their brotherhood. The ladies will love this cast of characters, as many scenes showcase the kinds of dumb things that guys will do to go home with the one he desires. At 88 minutes, the film’s plot is kind of limited in terms of it’s capabilities to branch out and seek something more than the predictable outcomes, however, the energetic enigma that is Reynolds keeps this film on track. Director Walt Becker knew he had a star on his hands, so much so that he cast Reynolds as the title role in the 2002 smash hit from National Lampoon’s “Van Wilder”. Even though that film is more known, “Buying The Cow” is a gem that shouldn’t be understated for it’s return value on one of Hollywood’s biggest stars. It’s a film that provides a look inside of ourselves and the relationships that we seek when it comes to exploring the most out of life. A deep-rooted message that not many buddy comedies were providing for the time. I personally am looking forward to seeing “Deadpool”, and I hope it serves as a reminder that Reynolds can be that guy who carries a film. He just has to have the material that shines to his brand of humor and charm.